A home inspection is visual analysis performed for compensation for the purpose of providing a professional opinion and home inspection report by a licensed home inspector, regarding the condition of a residential dwelling and the dwelling's attached garages and carports, any reasonable accessible installed components, and the operation of the dwellings systems, including any controls normally operated by the owner of the dwelling, for systems and components in the standards of practice established by the board (I use the ASHI standard of practice). Home inspection shall not include a code compliance inspection, or an inspection required under the National Manufactured Housing Construction and Safety Standards Act of 1974. Insulation and ventalitation in unfinished spaces. 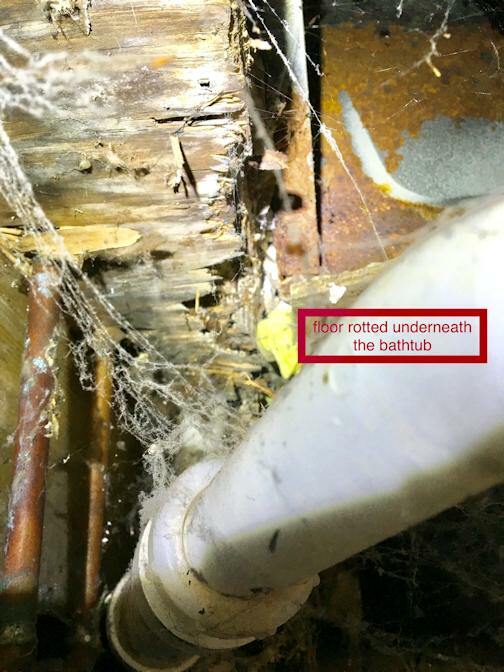 Putting moist air into a crawl space could cause deterioration of wood components . Excessive moisture could lead to MOLD growth. 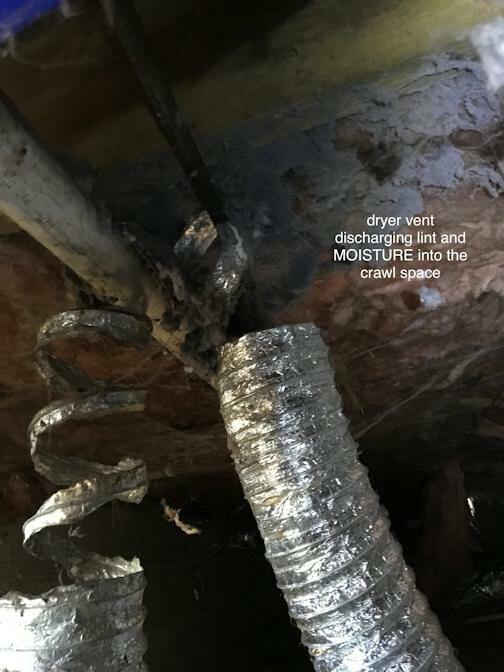 These are two of many reasons dryers should be vented outside. 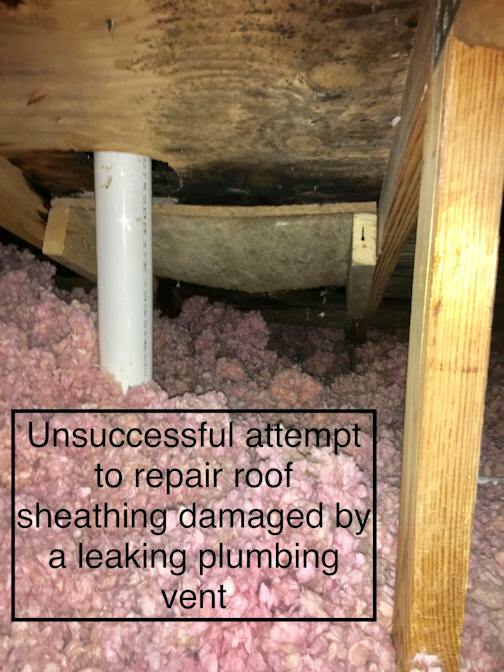 Potential buyers beware of “repairs” that are NOT done by a professional! This is clearly the work of an amateur. It is a likely location for future and costly repairs. 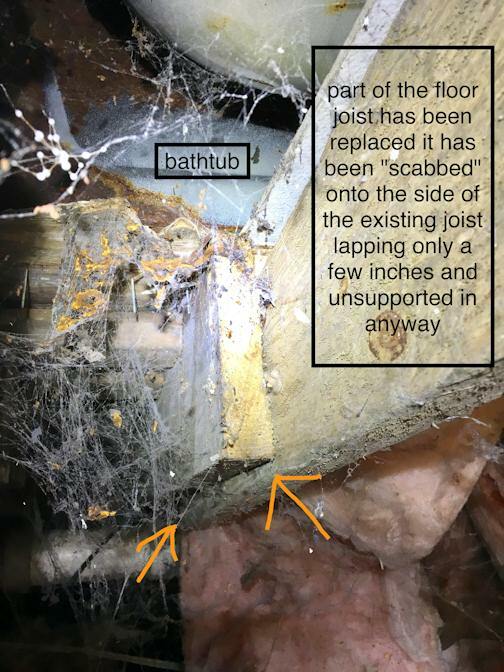 The joist should have been replaced full length from the sill plate to the beam. The hot and neutral connections have been reversed on this outlet. 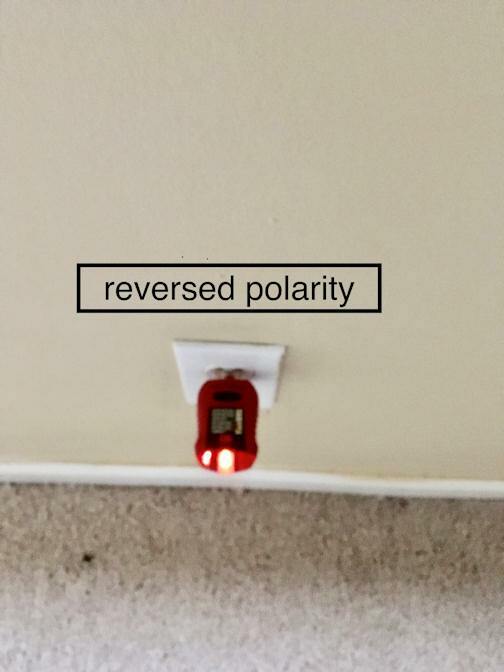 Reversed polarity outlets often go unnoticed. Many appliances will work just fine. However, the polarity has to be right to provide the protection built into the system. This is a DANGEROUS CONDITION. The floor under this bathtub has severe water damage. This wasn't easily visible from a normal walk through. The owner, the real estate professionals, the appraiser, and the potential buyer were surprised by this discovery. 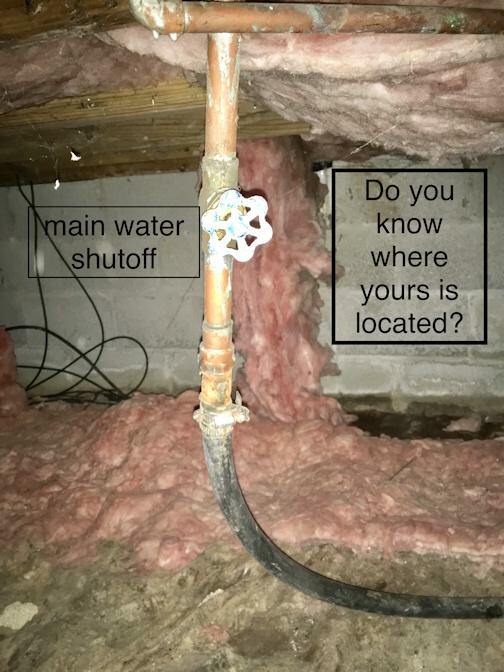 The main water shutoff lets you turn the water off quickly if there is a plumbing emergency in the house. It is important that you know its location. The home inspection will identify its location and many other important features of your new home.